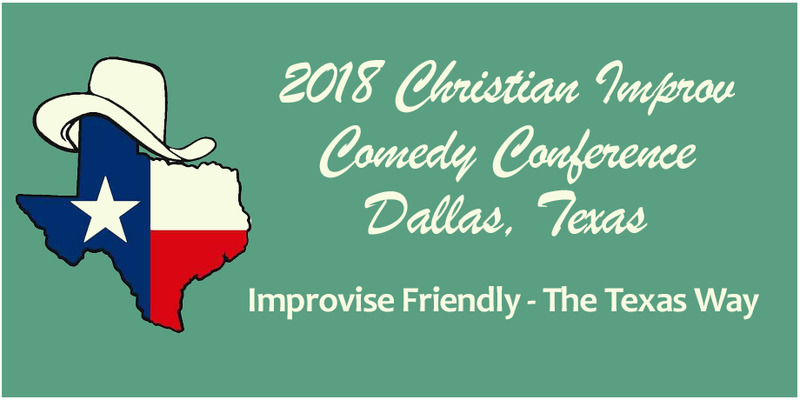 With each year having been bigger and better than the last, you'll want to be at the fourth annual national Christian Improv Comedy Conference. This year the conference will be held at Bent Tree Bible Fellowship in Carrollton, Texas, just a bit north of Dallas. The conference will features some engaging workshops for beginners and pros alike, an improv jam and a showcase show to cap off the festivities. You've never had fun like this before! Q. What level of improv experience do I need? A. The bulk of conference attendees have had some to significant experience in improv, but we have also had newbies with experience/exposure in complementary disciplines get a lot out of the experience. So, if you're a communicator, a stand up comic, an actor, theater director, or just an overly dramatic dude or dudette, you'll have a great time. Q. Is there a discount for registering early? A. Yes. If you sign up more than three weeks before the conference starts, you get $25 off. A. You can get a full refund a month ahead of time, and a partial refund of all but a $25 charge if you cancel one week prior to the conference. Cancellations within one week of the conference are discretionary and not guaranteed -- but if granted will have a $25 retention at minimum. A. Bring snacks and hydration, although some will be onsite as part of the conference. A. Contact us for info on what we might be able to do for you.